The long-running joke about Brazil is that it is the country of the future, and always will be. If Jair Bolsonaro is able to follow through on the tone he has set at the start of his presidency, however, it may not be long until the future becomes the present. Officially sworn into office at the start of the year, the Bolsonaro administration has already captured international attention. Having been portrayed for years by Western media as a sinister threat to Brazilian democracy, in spite of being a successful populist candidate embraced by a diverse electorate, the same outlets have been quick to depict the new government as a hostile threat to minority rights. The real story, however, is Bolsonaro’s apparent commitment to the sort of ideological revolution that is desperately needed for his country to thrive. While history shows we should never trust a politician to deliver on lofty promises of liberty and freedom, the initial days of his presidency have moves deserving of praise. I stand humbled by the honor to address you all as President of Brazil, and stand before the whole nation on this day as the day when the people began to liberate themselves from socialism, from the inversion of values, from state gigantism and from political correctness. … Our flag will never be red. It will only be red if we need to bleed over it to keep it green and yellow. What’s encouraging here is that Bolsonaro is identifying that the true enemy of his administration is not simply a political rival or a series of bad policies that must be reformed, but the socialist ideology that has caused so much misery throughout the world and Latin America in particular. Correctly identifying the underlying problem is the best way to go about finding a solution. Everything that happens in the social world in our time is the result of ideas. Good things and bad things. What is needed is to fight bad ideas. We must fight all that we dislike in public life. We must substitute better ideas for wrong ideas. … Ideas and only ideas can light the darkness. Of course, a true ideological revolution requires more than simply political rhetoric and rousing speeches, the question will be how he is able to follow through with pro-market policies that will actually allow Brazil to succeed. Luckily what most of the Western media has completely ignored is that the rise of Bolsonaro isn’t as simple as populist politics sparked by the corruption of presidents past, the country has seen a remarkable rise in pro-market and libertarian scholars within its intellectual class. Thanks to organizations such as Mises Brasil, Instituto Rothbard, Students for Liberty and more, the works of great thinkers such as Mises, Murray Rothbard, Frédéric Bastiat, and more have been translated and dispersed throughout the country. 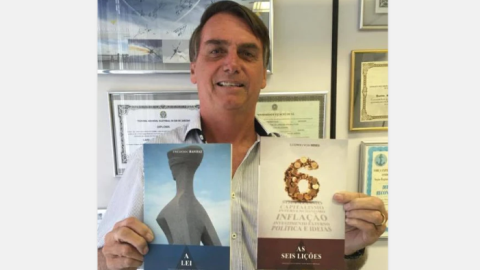 President Bolsonaro has even been photographed with Portuguese copies of Bastiat’s The Law and Mises’s Economic Policy. This is important not only because it highlights the growth of these ideas beyond the narrow lens of politics, but also because it demonstrates that Bolsonaro has a talent pool to be able to tap into for his administration. 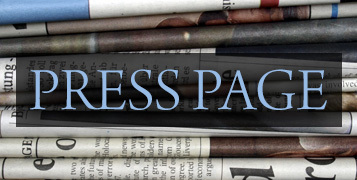 In the words of Mises Brasil president Helio Beltrão, the new president has put together a "remarkable team and with noble intentions." 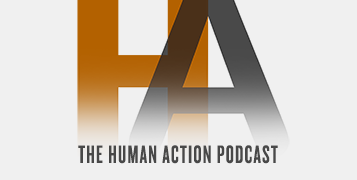 This includes scholars affiliated with various free market and libertarian organizations, including Mises Brasil, have been tapped for positions within the administration — including Bruno Garschagen, host of their popular podcast. The new Minister of Education, Ricardo Velez Rodrigues, was himself a guest of the show. Naturally, when taking over a huge government bureaucracy that has long been under socialist control, removing bad actors is every bit as important as bringing in new talent. While Donald Trump brought the term “the Deep State” into the American mainstream, his administration has been damaged by failing to truly drain the swamp of its long-standing political professional class. Here too is another area where Bolsonaro’s administration is showing true promise. On January 3, Chief of Staff of the Presidency, Onyx Lorenzoni, announced that the Bolsonaro government will be removing communist-sympathetic officials from positions of public administration. While headlines about "communist purges" from a "right-wing Latin American leader" are designed to evoke images of the bloody policies of Augusto Pinochet and Jorge Videla, firing bureaucrats is hardly comparable to "right-wing death squads." Of course, one of the best ways to follow through with Bolsonaro’s anti-Marxist vision would be to leave many of these vacated positions open as part of a general reduction of the Brazilian government. Hopefully, the administration will also pay heed to Helio Beltrão’s suggested plan for de-bureaucratization of the nation’s economy. Another promising sign that has come from Lorenzoni is that he has instructed all government ministers to inventory the properties under their control so they can identify what assets are better off being privatized. The hope is that the Bolsonaro administration will follow through on the statements made by Paulo Guedes, the new Minister of the Economy, to "privatize everything that is possible." Not only will such sales help to work down the countries debt (currently at $1.6 trillion, or 81.4% of GDP), but allow assets and companies to operate more efficiently free of the strangulation of government central planning. While there are many signs of optimism from the early days of Bolsonaro’s government, it would be unwise to ignore the challenges that still face the country. As Leandro Roque has noted, the administration is inheriting numerous challenges, including the rising costs of retirement programs and an aging population. Will an elected populist be willing to make the painful reforms necessary? We shall see. Also, it would be a mistake to confuse anti-Marxist rhetoric for a genuine embrace of liberty and free markets. America’s own history has shown how some of the loudest opponents of communism have enacted some of the worst policies domestically. Will Bolsonaro’s team of classical liberals be able to stand strong with the pressures of public office, or end up being a disappointment like so many others have been before? Only time will tell. What is encouraging is to see the rise of a popular politician willing to use his platform to openly call out the dangers of Marxist ideology. If Brazil can maintain a course of Menos Marx, Mais Mises, then it will finally be able to live up to its long acknowledged potential.